The menu at Nur draws from the rich and flavorful cuisine of the Middle East. It has a modern, bold and playful take on the dishes of the region, including street food elevated to fine dining, classic dishes of the region transformed to a modern palate and some nods to Israeli and Jewish cuisine. The menu is designed for sharing and provides guests with the opportunity to travel the culinary world of the Middle East through their taste buds. 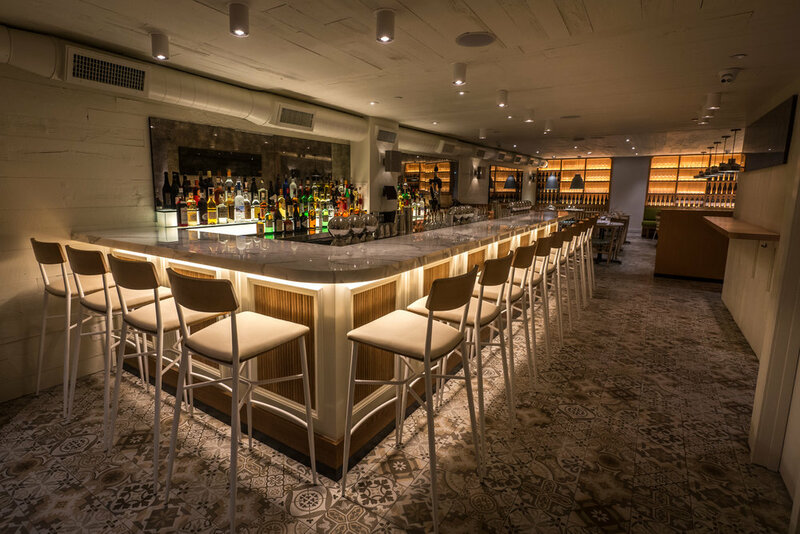 Nur allows Chef Meir Adoni to "let loose" on high-end, modern Middle Eastern dishes, designed to encourage sharing. With its casual yet refined ambiance, this inventive restaurant brings a modern flair to Middle Eastern cuisine. We take reservations for parties of up to 6 up to 30 days in advance online with Resy. We accept walk-ins and serve our full menu at the bar.